Our mission is to help you maintain the highest quality of patient care by filling all your staffing requests, most promptly & efficiently. Real Nurses in Real Time! 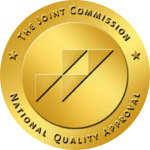 Founded in 1999, our company is one of the fastest growing providers of quality nursing professionals to hospitals and healthcare facilities in the Northeast. A leading innovator, Staff Blue has become the most vital force in nurse staffing today. Our commitment to excellence and to continuous quality improvement has earned us the respect and trust of the industry. 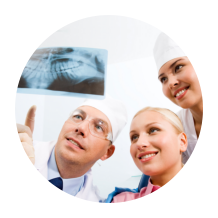 Our primary goal is to ensure the satisfaction of both our clients and nurses, while maintaining the highest of standards. Quality nurses are the backbone of the healthcare industry. As they are the principal source of care for patients at the most vulnerable points in their lives, it is essential to invest in high quality nursing care. Our expert personnel are available 24/7 to coordinate staffing solutions for any facility at any moment. Staff Blue coordinators are specially trained to focus on the particular needs of each facility, customizing a cost-effective program that works for each. 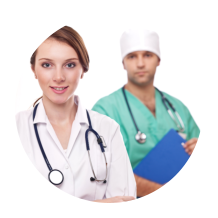 We supply experienced nurses and therapists in all capacities for the long and short term, all of whom have undergone a rigorous screening process. We offer unparalleled round the clock client support so that any issues that arise are resolved immediately. 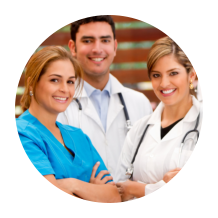 To guarantee our clients’ utmost satisfaction, the day-to-day of our staffing personnel is directly supervised by our Director of Nursing – a fully credentialed Registered Nurse. We are proud to offer a level of clinical expertise unmatched anywhere else. On behalf of the entire Staff Blue team, I wish to thank you for your interest in our company. If you are a healthcare HR executive in need of nurses, I welcome the opportunity to visit you to discuss your needs and requirements as well as our recruitment, training and placement process. Whether your staffing needs are a result of employees leaving, census swings, turnover, strike or simply new department or program expansion, we can supply your facility with the qualified healthcare professionals you need when you need them. If you are a healthcare professional exploring your career path, I invite you to consider the amazing opportunities that Staff Blue as one of the Metropolitan’s leading healthcare staffing companies has to offer. Whether you are looking for a per diem, nights, weekends, short or long term travel assignments or a permanent position, the Staff Blue team is ready to assist you with finding the work you want, where and when you want it. I encourage every single one of you who are reviewing our services to call our Brooklyn corporate office at 718-232-BLUE and ask to speak with me personally. You can also contact our Long Island office 516-433- 2244, or our New Jersey Office at 908-445-0445. I will be happy to meet you, discuss how we can work together and answer all of your questions about Staff Blue.